I got a report from a PCA early in the week of blast infections detected near Maxwell. 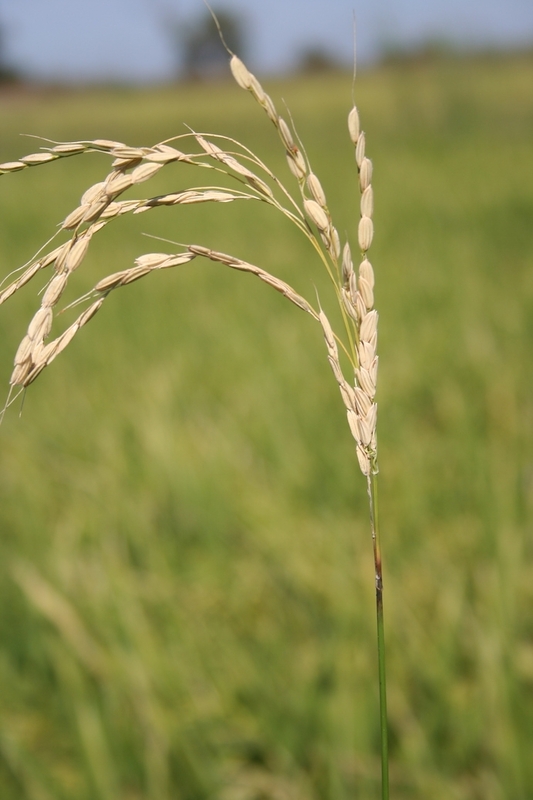 Blast can occur at any time during the development of the crop. When it infects leaves, it is called leaf blast. If it infects the base node of the panicle, it is called neck blast, if it is on the nodes of tillers, node blast, etc. In all cases, it is the same pathogen. Usually, the first visual indication of blast infection happens in nitrogen overlap areas in the form of dead circular spots. 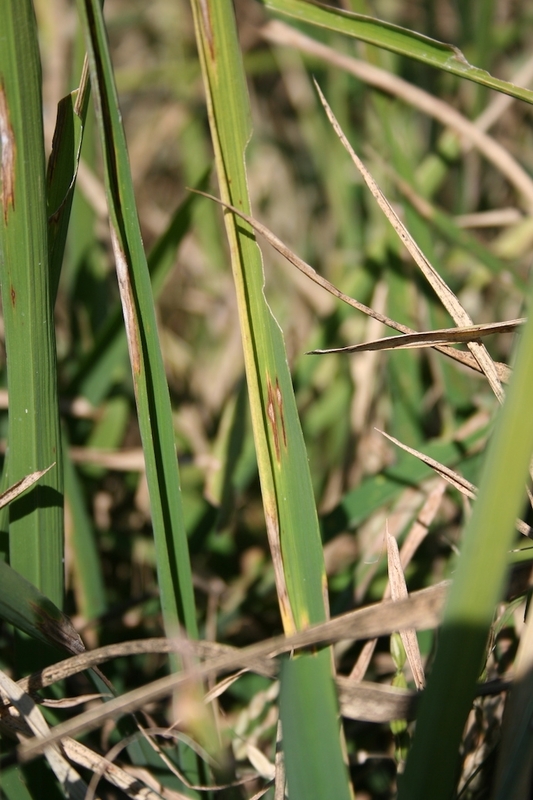 If you inspect these areas closely, the plants in the center are burned to the water, and the typical diamond shaped lesions can be found in the leaves of surrounding plants. We do not recommend treating leaf blast. 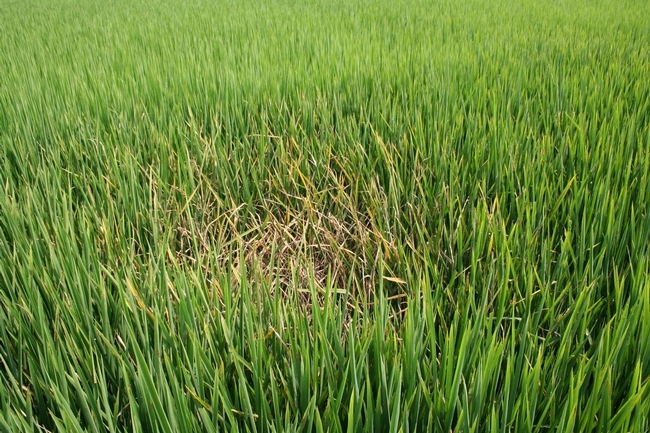 But presence of leaf blast is a good indication that a fungicide treatment will be needed once the crop starts heading. Blast is a multi-cycle disease, meaning that infections produce spores that then can cause more infections later. After an infection occurs, lesions form after 14 days, and 3 days later new spores are formed. These spores can then repeat the cycle. This is why it is important to protect the panicles if leaf blast is present in a field or surrounding fields. Time your fungicide application anywhere from mid boot to panicle emergence. All our varieties are susceptible to blast, with the exception of the new M-210. M-206 is considered less susceptible than M-104 and M-205. We have not seen the response of M-105 and M-209 in the field yet, but I suspect they are very susceptible based on their background.